We are proud to service the city of A2, and beyond. 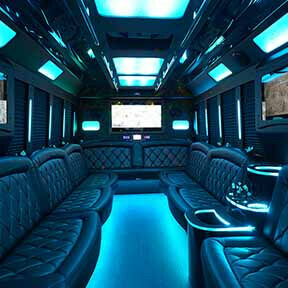 With all there is to see and do in the metro Detroit area, it's easy to see why our limousines and limo buses are such popular means of transportation. When you decide to use our services, you're getting rid of all of the worries that you would have dealt with otherwise, such as downtown traffic, finding a designated driver, or parking. When you truly want to experience a town like Ann Arbor with so much to see and do, you want to do it in style. 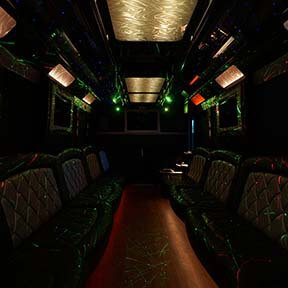 You'll get to experience all of the latest and greatest in party amenities, as we update our vehicles to match and exceed industry standards. You can't go wrong with a company that's constantly looking for ways to serve you better. Our company is founded on great customer service because our clients are always #1. We are here for you, without you we realize that we would not exist. So, your happiness is first priority with us. We have had tens of thousands of satisfied customers and we hope to make you one of them. 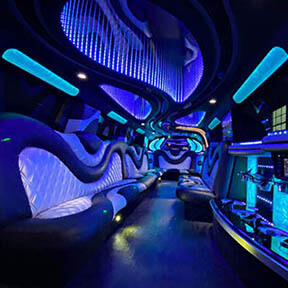 Believe us when we say that you have not experienced a night on the town or any event for that matter until you have experienced it in a limousine or a limobus through our company. We'd love to get to know you as the years go by, servicing all your most memorable life events and getting to know you on a first name basis. We believe that lifelong return customers are the backbone of any successful business. We cannot achieve true success without making our customers as pleased as possible, so we hope you'll give us a chance to deliver a truly outstanding travel experience to you! We strive to keep our prices the best in the business. We also don't believe in putting a square peg into a round hole so you will never catch us trying to force a vehicle on you that is too large for you or doesn't fit your situation. 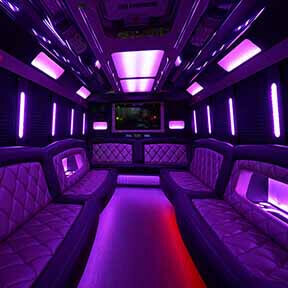 At Ann Arbor Party Bus, we believe in top notch quality for our customers. You will find that our vehicles and well maintained and the safest on the road. To ensure that happens we have our highly trained chauffeurs inspect the vehicles before, during, and after their trips as required by MDOT. If there is a problem with a vehicle we have an extremely organized system to track and fix any problems and one our on staff maintenance technicians or mechanics fixes it immediately. No matter what type of trip you are planning, you can rest assured knowing that we are the best company to take care of your transportation needs. Perhaps you're wanting to put together a tour of wineries for a wine tasting that you can continue to enjoy as you drive (remember, you can legally keep on sipping in our vehicles, but you can't do that in your own car!). Maybe you'd rather have a wild night of bar hopping and pub crawling, checking out all the hot night spots that Ann Arbor has to offer! Or maybe you've got a really elegant ceremony planned, like a wedding or commitment ceremony, and you know that we've got the sophisticated vehicles that you have only dreamed of up to now. 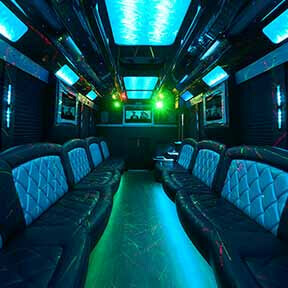 No matter what type of event you're planning, we've got the perfect ride for you. 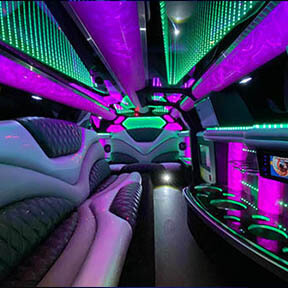 Now, if you happen to be renting a vehicle for your teens to travel around in during their school dances, proms, homecomings, and graduations, you must know that we are the safest and most reliable company on the road. We handle plenty of these teen events and we know how important our role is, to keep your kids safe while you enjoy a worry-free evening at home. That's hard for you to do when your kids are out there driving in their own vehicles or with their friends, potentially at the risk of texting and driving or even teen drinking and driving. Even if your child is the most responsible one in the group, you never know what their friends might decide to do. Distracted driving is a real possibility during these exciting events too. But with our professional chauffeurs, it's a no-worries night for you! 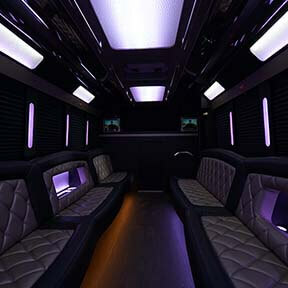 You can take a look at our fleet of amazing limousines and limousine buses by visiting our our fleet page in the menu, and you'll notice that they're impressive in quality and style. We put a lot of hard work into our vehicles so they meet all of your expectations. 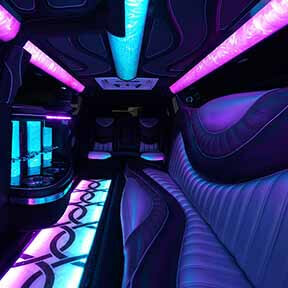 With features like TVs, changing light systems, loud sound systems, hardwood floors, air conditioning, and bars. Best of all, our amazing chauffeurs will go above and beyond to provide you with a Ann Arbor experience that you won't soon forget. They are friendly and will answer any question you may have. They also are intimately familiar with the area. Let us be a part of an exceptional day or evening that you have planned, call us today and find out more about what we have to offer. We are on stand by twenty four hours a day and seven days a week to give you your free quote or advice for your outing. You can't beat the efficiency of our transportation. Our chauffeurs know where all the popular spots are. On top of that, they always have a GPS on them so they'll always know where they're going. You'll get to your destination on time and safe. We background check them before employment and we do drug screenings regularly, and we also keep them expertly trained and updated on any new developments in our industry. You will not find a more reliable chauffeur than the one you'll have! We go above and beyond to ensure that you're satisfied. Our booking agents are available to you when you have the time to call. Day or night, weekdays, weekends, and holidays. It doesn't matter if it's 2:00 am on Christmas Eve, they will be right here to take your call! They will help you get what you need at the best deal possible. 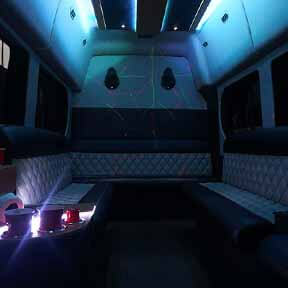 They know the ins and outs of all our vehicles and they know how to help you choose the best one for your particular party needs. They're great at planning your itinerary too! Our fleet of vehicles can't be beat by our competitors. There are a variety of sizes as well as types of vehicles. 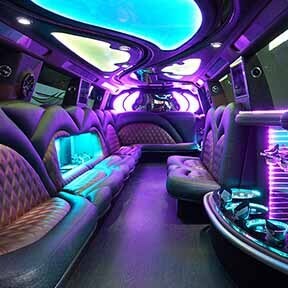 Limo buses, limousines and more that are packed full of amenities for you to enjoy on the road while traveling to your next stop. 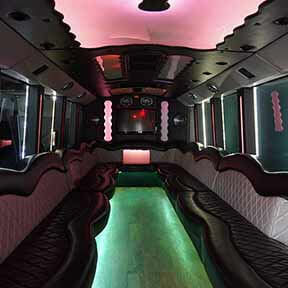 You'll enjoy the entertainment features as well as the built-in bar so that you can sip cocktails as you travel. You can stock the bar with whatever you'd like, and we always provide the ice and cups to keep things frosty cool! It's always a great time on our buses.